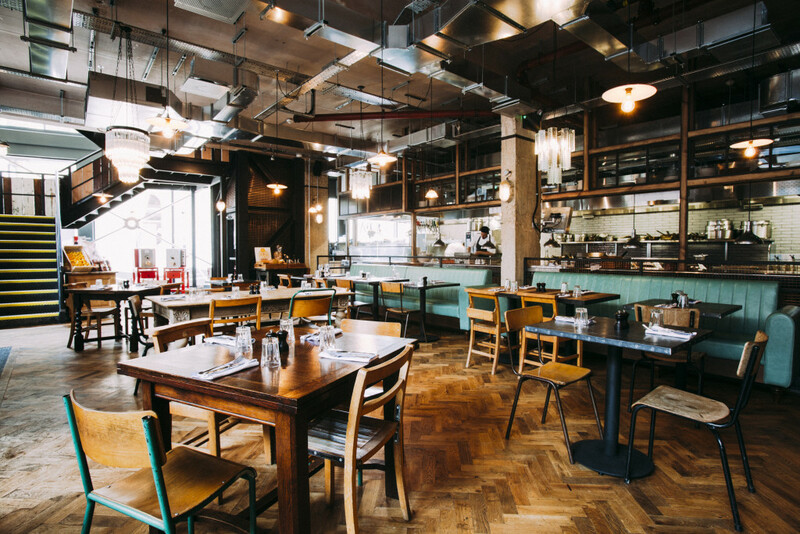 When Jamie Oliver purchased his new site in Harrogate, Craftwood was appointed by Jamie’s Italian to manufacture the bespoke banquette seating. Situated in the heart of this historical town, it is positioned in a prime location. Craftwood worked with Blacksheep, along with main contractor Tekne Shopfitting on the project. As is often the case with Jamie’s Italian, areas are cleverly separated by the use of different colours and textures. Blacksheep incorporated a mix of modern style fluted back leather banquettes in a bright blue leather, and then some more traditional looking chesterfield banquettes in a rich burgundy colour. 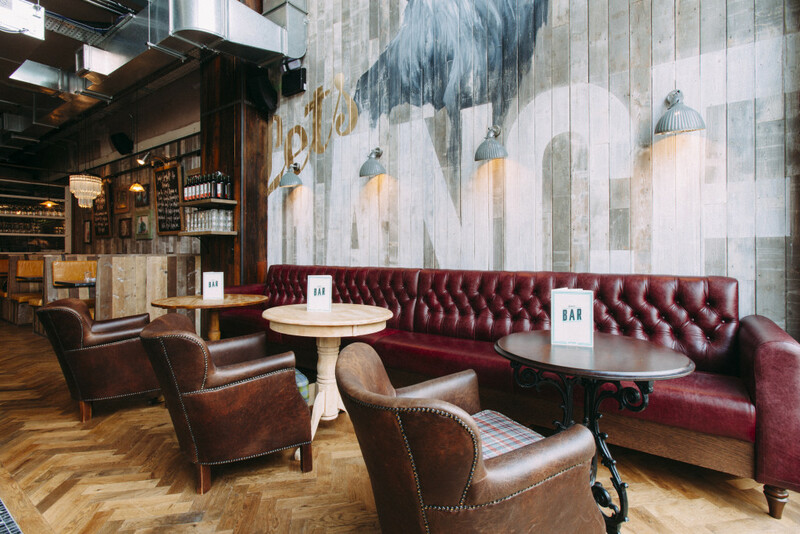 The Chesterfield seating in the bar area with shaped arms gives a typical rustic Italian feel. It sits in front of an unusual timber clad wall complete with rather quirky artwork of a bear! A focal point under a focal point! In the main restaurant area, the fluted back banquettes either side of the column are upholstered in a vibrant blue leather. Using the same arm detail and turned legs to combine the styles together. The collective effect of all elements in the venue comes together with stunning results.